Kudos to Benefit for stirring up a marketing buzz around this new product to near Apple levels. It’s not available until June 27th, but they’ve made a website where you can sign up to get “early access.” And when my number came up last week, I just had to hit that purchase button. Believe your own hype always? In this case, how about not. I seem to be in the minority, but this liner failed to impress me on several levels. Let me back up. 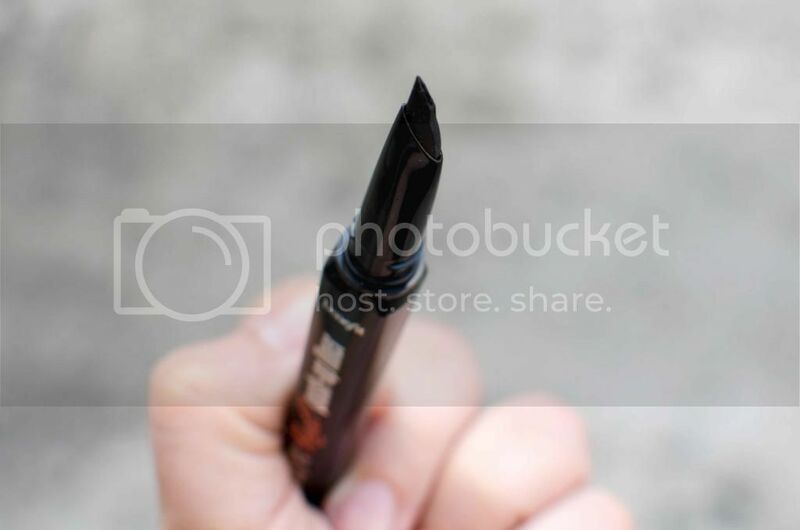 They’re Real Push-up Liner is a gel eyeliner in a slanted…er…wand? Pen? The tip is slanted rubber with a tiny slit, through which the gel liner is…wait for it…pushed up by twisting the bottom of the pen. (I really had been wondering about the “push-up” in the name. 😉 ) The slanted tip is supposed to make it very easy to do a cat eye flick. I do love me my Bobbi Brown Long-Wear Gel Liner, and sometimes struggle with my cat eye using it, even with a slanted brush, so I thought this would be just the thing. I watched their video tutorial on how to get the perfect wing with this before attempting, and I do have to say, especially for a beginner, this does simplify getting your line for your flick. The problem is everything else. To start with, it took me about 2 solid minutes of turning before the product actually starting coming through the tip. And the control of the flow is an issue, because, if you get too much, you can’t do your fine line and you waste product wiping some away. (Also, the next day, whatever was left in the tip has dried up and needs to be removed, or risk clumpy application.) If you get too little, your line is spotty. 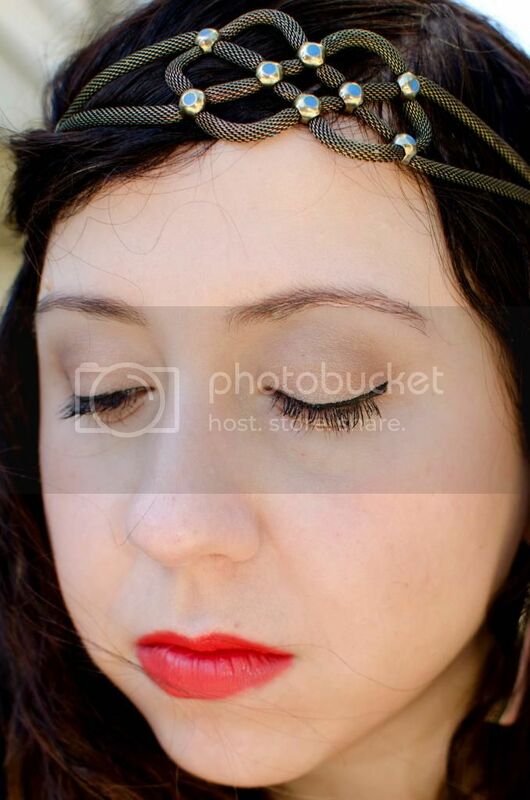 I actually had spotty application no matter how much product I “pushed up,” and the excess got clumpy in my eyelashes. I had to go over the lines a few times to get them opaque, which kind of ruined the thin line application the product promises. So there goes number there crossed off for me, because of the application and clumping issues. As for the others, I was distressed to see at lunch time that the color had bled down underneath the flick. And that’s with using an eyeshadow primer. I quickly wiped the excess away, but found more when I went to take my makeup off later. And as a follow-up to what I said here, I wore the liner with the sample of They’re Real mascara I’ve been testing out, and dear lord, the combination of the two, the mascara flaked like nothing I’ve seen, and I just had black everywhere. Not a good look! And I really tried, I did. I tried to make it work on 3 different occasions, and either wound up with black spots on my lids (from the mascara or the liner? not sure…), black flakes under my eyes, and raccoon eyes from the liner bleeding. My disclaimer is that I do have very oily lids. To the point where first discovering eyeshadow primer was literally a life changer. (You mean I don’t have to reapply my eye makeup completely if I’m going out at night?!) I use powder on my eyelids first, too. But maybe it just doesn’t play well with oil. If you have normal to dry skin, this might be your new best friend. Me? For those occasions that I want a gel liner instead of a liquid, I’m back to a brush and my Bobbi Brown. Interesting to know! I just saw a review of the same product on Gloss and Dirt. Sounds like the cons definition outweigh the pros! Thank you so much for posting this! I was so confused by Benefit's "trailer" for this product. I just couldn't figure out exactly what it was, what was being pushed up and where, what that tip was made of, etc. 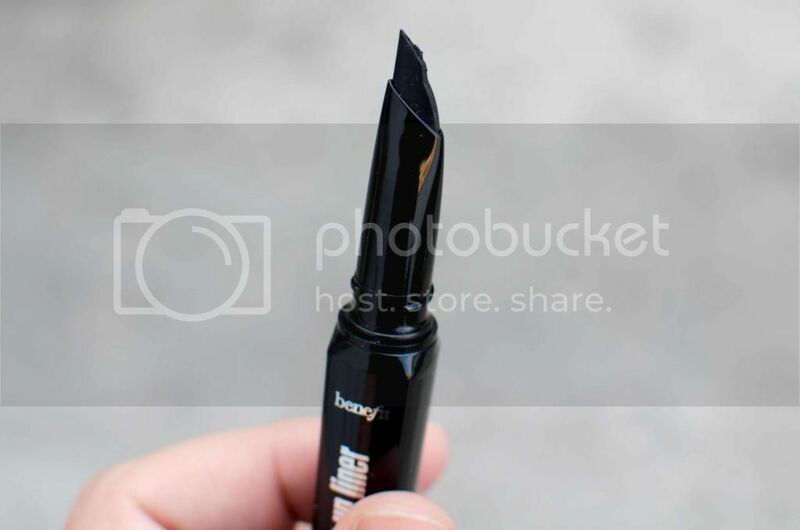 It sounds like it MIGHT be a good product for me since I basically always use the Bobbi Brown gel liner and am forever battling the build-up on the brushes. 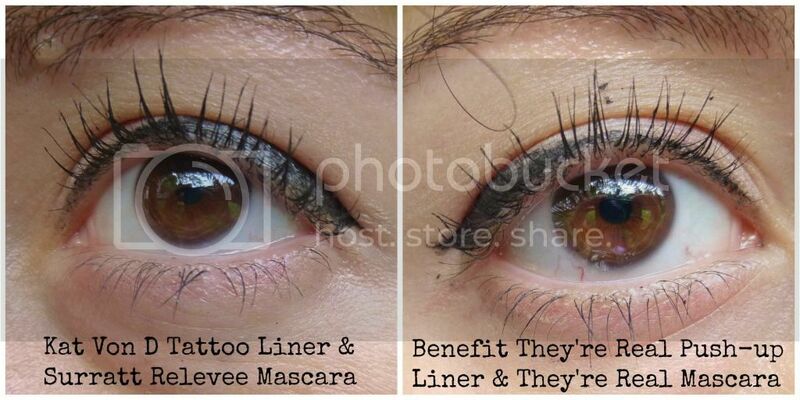 The idea of a twist-up-for-product eyeliner immediately gives me pause. I could just see that being a logistical application disaster waiting to happen. Because the point of liquid eyeliner is that the line is straight, and not meant to be smudged or blended in. I'm not crazy about twist up applicators because it can definitely lead to wasting product, but in some cases I have used concealers in twist up applicators (either with a brush top or a sponge top) and it was ok because the formula was decent and then I could just blend in the excess. This is supposed to be more blendable than a liquid. 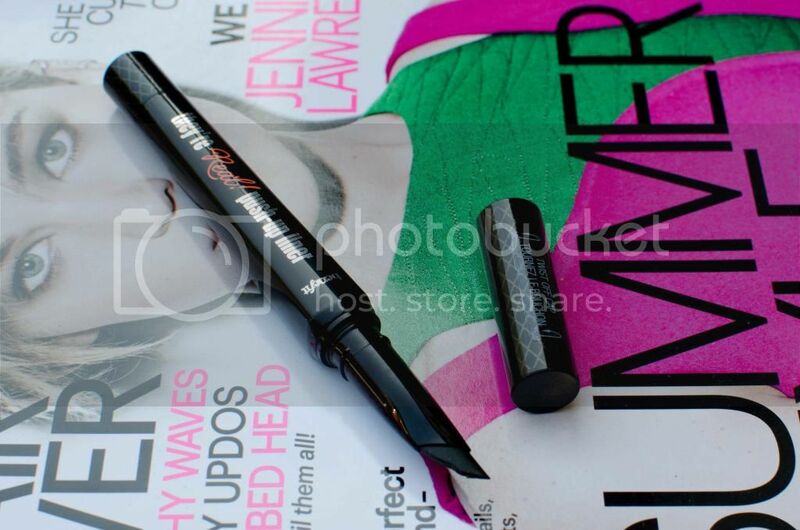 You don't just have to use it for winged liner. But mine just didn't go on smoothly. The design of the applicator alone would have me running for the hills. But yes, kudos to Benefit for making epic levels of buzz. I signed up for the website even though I’m not a huge fan of the brand, haha! Didn’t end up buying though and now I’m glad. Rebecca B. Bird recently posted…BRB – I’m Filthy. They're a brand I feel like I should love because of the kitschiness, but I don't LOVE many of the products I've tried. The buzz was insane, but also, all the other reviews have been so rave, I thought this was a sure thing. I guess it really depends on the person. Apparently. I also have oily lids so it won't be that good. 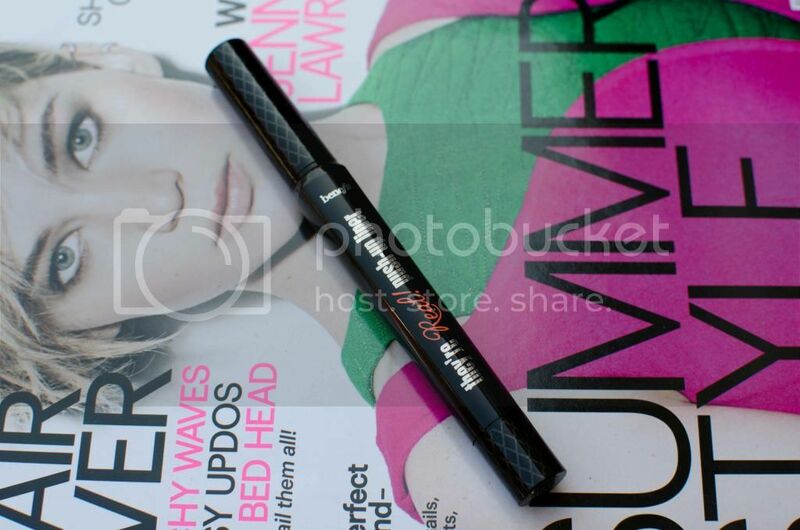 But the Kat Von D liner really look better but I like the look of the applicator from the Benefit one. Maybe it will work better for you? It just wasn't happening for me.